Majority of the cool gadgets we use today won’t be available if it wasn’t for the military, so you gotta give credit where credit is due. There are lot of creative and innovative people working for the military and this is one of the things they have come up with. 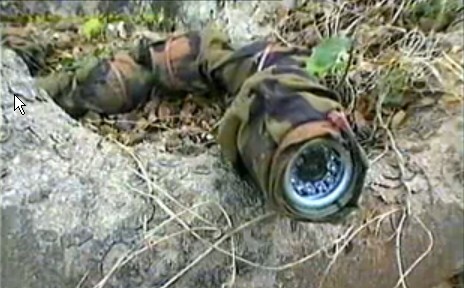 The Israeli military has released a footage of their newest innovation, a robotic snake. In reality it is not the most original idea, it was done by other militaries before, but this one in specific moves and acts like a real snake. Controlled remotely from a far distance, it can crawl up on it’s enemy and spy with a video camera or even blow it self up if need be. Hopefuly this turdish looking thing will save more lives than it will destroy. A brilliant blog post, I just given this onto a student who was doing a little analysis on this. And he in fact bought me lunch because I found it for him.. smile. So let me reword that: Thnx for the treat! But yeah Thanks for taking the time to discuss this, I feel strongly about it and love reading more on this topic. If possible, as you become expertise, would you mind updating your blog with more information? It is very helpful for me. Two thumb up for this article!